NCH690 Lysate, Whole Cell Lysate from NCH690, 100µg. The customer (not-for-profit) must sign an MTA. These cells MUST NOT not be forwarded to for-profit customers. CLS needs a declaration of usage from distributor. NCH644 Lysate, Whole Cell Lysate from NCH644, 100µg. The customer (not-for-profit) must sign an MTA. These cells MUST NOT not be forwarded to for-profit customers. CLS needs a declaration of usage from distributor. NCH612 Lysate, Whole Cell Lysate from NCH612, 100µg. The customer (not-for-profit) must sign an MTA. These cells MUST NOT not be forwarded to for-profit customers. CLS needs a declaration of usage from distributor. NCH421K Lysate, Whole Cell Lysate from NCH421K, 100µg. The customer (not-for-profit) must sign an MTA. These cells MUST NOT not be forwarded to for-profit customers. CLS needs a declaration of usage from distributor. HNO258 Lysate, Whole Cell Lysate from HNO258, 100µg. The customer (not-for-profit) must sign an MTA. These cells MUST NOT not be forwarded to for-profit customers. CLS needs a declaration of usage from distributor. HNO223 Lysate, Whole Cell Lysate from HNO223, 100µg. The customer (not-for-profit) must sign an MTA. These cells MUST NOT not be forwarded to for-profit customers. CLS needs a declaration of usage from distributor. 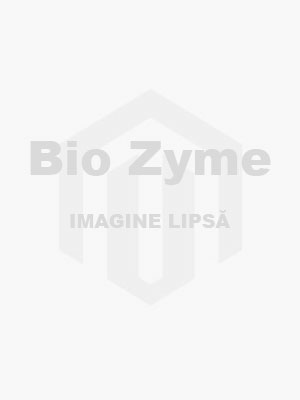 HNO210 Lysate, Whole Cell Lysate from HNO210, 100µg. The customer (not-for-profit) must sign an MTA. These cells MUST NOT not be forwarded to for-profit customers. CLS needs a declaration of usage from distributor. HNO97 Lysate, Whole Cell Lysate from HNO97, 100µg. The customer (not-for-profit) must sign an MTA. These cells MUST NOT not be forwarded to for-profit customers. CLS needs a declaration of usage from distributor. HNO41 Lysate, Whole Cell Lysate from HNO41, 100µg. The customer (not-for-profit) must sign an MTA. These cells MUST NOT not be forwarded to for-profit customers. CLS needs a declaration of usage from distributor. HaCaT lysate, Whole Cell Lysate from HaCaT, 100µg. The customer (not-for-profit) must sign an MTA. These cells MUST NOT not be forwarded to for-profit customers. CLS needs a declaration of usage from distributor.